Unlimited access to regular Game Updates such as new Nightmare Mode content, a brand new Operation on the planet of Asation, a new Heroic mission series on the prison planet of Belsavis, and a brand new Warzone for our PvP lovers. Subscribers will also receive an automatic monthly grant of Cartel Coins for use in our new Cartel Market. The Cartel Market will offer a variety of in-game items including cosmetically customizable gear and convenience features that will enhance the game play experience. Subscribers will receive Cartel Coin rewards for every past and ongoing month of subscription. Subscribers will also receive a special bonus “Fan Favorite” Party Jawa. Celebrate your status as a veteran of the galaxy anytime with this animating Jawa, who starts a party every chance he gets! Amazingly, the free option still grants you access to literally hundreds of hours of content for absolutely nothing. 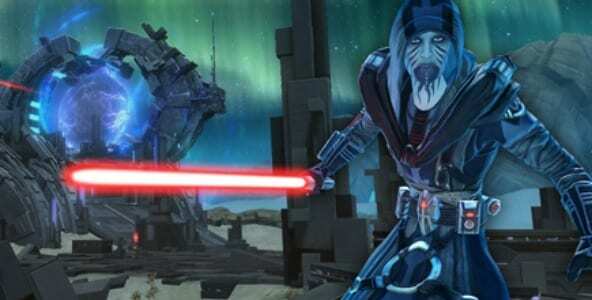 As the holiday season cools off, come celebrate the 1 year celebration of SWTOR and find out for yourself.